Today, the notion of Kung fu is known primarily for its connection to martial arts. When you hear this word, most people think of wrestlers with acrobatic skills. 1. To believe that Kung Fu only has to do with martial arts. 2. To consider martial arts as a mereabilityto fight or kill. In fact, kung fu is much more than martial arts and martial arts are much more than combat skills. Between the third century and the fourth century, the term Kung Fu was used and was originally used to describe human work. Later, this term acquired a set of synonyms such as: (1) time and effort spent on something,(2) ability to achieve intended resultsand (3) results of effort and skill. Subsequently, this term came to be used to designate all the arts of life that demanded cultivated skills and efficient skills; be in the arts of cooking, speaking, dancing or dealing with human relationships. The neo-Confucianists, as well as the Taoists and Buddhists, all of them unequivocally called Kung Fu the “art of living”; that required corporality and manifestation of skills in a degree of excellence. The wise get to see meaning in what is common to all of us and is able to internalize that knowledge and use it universally. Thus, kung fu is not manifested only in great moments, when our strategic attention is easy to be demanded. Kung Fu is revealed mainly in the dynamism of situations of daily life, where there is no rigid and clear rule to follow such as: caring for a child, respecting teachers, helping friends or working with colleagues. The response to these situations is spontaneous and characterized by the ability to flow in appropriate actions as a form of self-expression resulting from the skills and sensitivities internalized by diligent and constant practice. Hence the importance of what Patriarch Moy Yatcalled Kung Fu Life. Learning kung fu is not an accumulation of knowledge, since its search is the development of incorporated skills. This type of learning can only be understood and appreciated through one’s own experience. Repeated practice becomes a source of pleasure, because through it, the learner gradually acquires a deeper awareness of what is learned, thus obtaining the benefits of their dedication. It is important to note that the learning of kung fu is not just the mere acquisition of motor skills, where “knowing how to do” is what is commonly understood as kung fu. The learning of kung fu also covers the process of transformation of a person, in terms of human development. When disciples asked about the kung fu life, Patriarch Moy Yat hardly tried to explain with words what was involved. He preferred to relate his experience with Patriarch Ip Man and how his mentor responded to different circumstances. Patriarch Moy Yat gave orientations according to the conditions of each disciple and, let them know the specific area in which they should invest their effort. In truth, the teachings of Patriarch Moy Yat were rarely constituted by verbal instructions; because human development is not a matter of intellectual understanding, and thought that if he used the verbal description it would be more confusing to students. The master-disciple relationship in kung fu starts from the perspective that true knowledge is greater than words can convey, and this demands much more than what the intellect can perceive, understand and manifest. In this case, the reason must be aided by cultivated intuition through the broadening of awareness of what one learns, and this expansion of consciousness occurs through diligent practice. The teacher must be able to see things that are not yet perceived for the cultivation of the disciple. But, what the teacher perceives cannot be transmitted to the disciple only through words. For this reason, apprentices are taught in completely different ways. Not with emphasis on verbal presentation and rational conviction, but through the most individualized orientation and living examples of the teacher. The disciples must follow them and practice them in conformity. 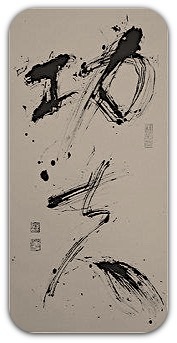 Therefore, it is said that the language of kung fu life is silence.